What does your perfect summer day look like? I’m guessing whatever you pictured included plenty of food and drink. And for many of us, the drink that really makes summer is a refreshing pint of cider. Nothing cools and refreshes the senses quite as much as a cold cider on a warm day, and I think that association is hard to break – if you have a cider in your hand, it always feels a bit like summer! 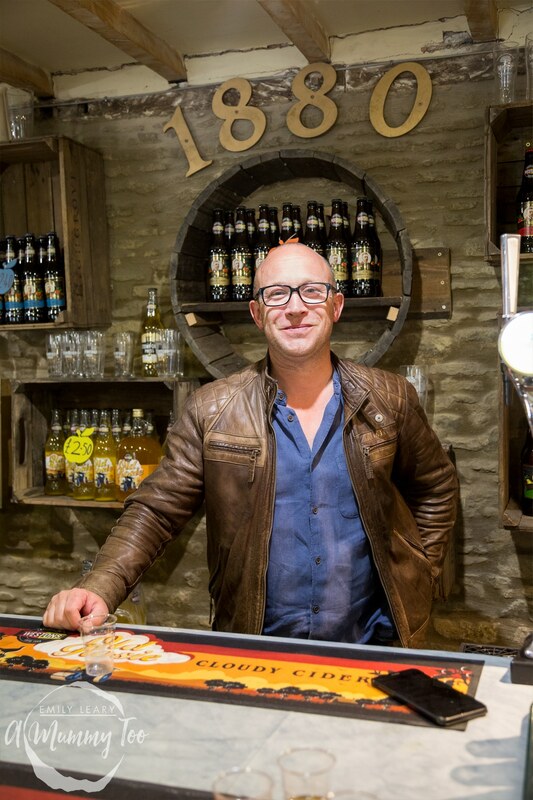 That’s why I was so excited when Ember Inns, whose pubs across the UK offer a fantastic selection of drinks sourced from local and national breweries, offered me the chance to take a tour of H Weston & Sons, a cider brewer they buy from. The Ember Inns brand is known for being very selective about the breweries it uses. Ember Inns make sure to only work with the best, and that was really brought into focus during my visit to learn about the history and passion of the Weston brewery where some of its ciders are made. Those familiar with Weston no doubt already know how exceptional their products are from taste alone, so it was fantastic to see what makes their process so special. 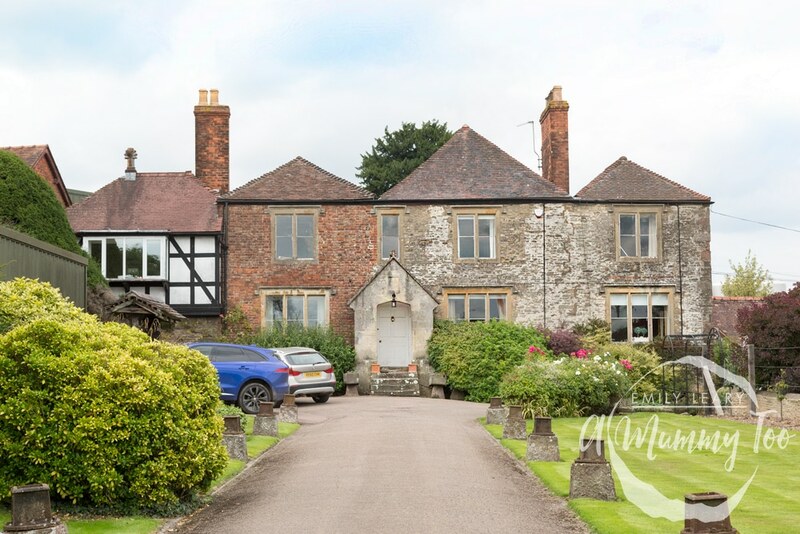 While Weston might have stepped up the amount of cider produced since its beginnings in the 1800s, the brewery’s adherence to quality and tradition where it counts hasn’t changed a bit, and that’s no doubt what makes it such an obvious choice for Ember Inns. 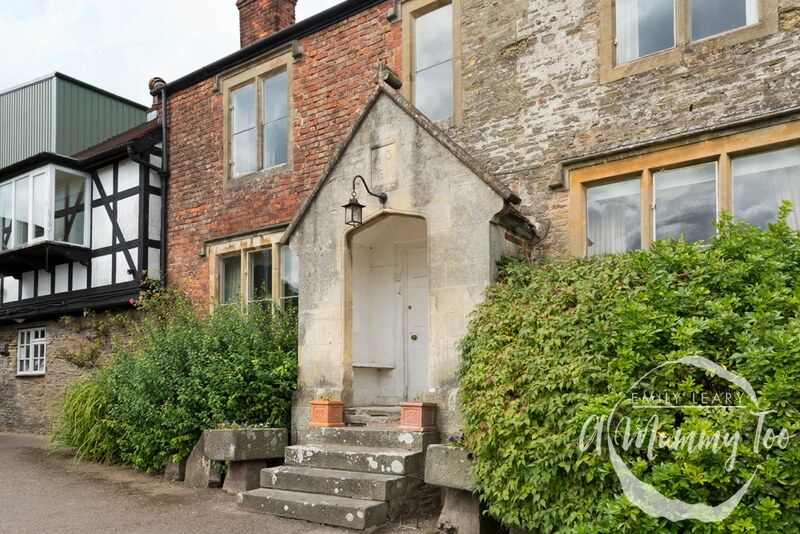 I arrived in the heart Herefordshire on a sunny day in August, where I was immediately greeted to a lovely view of The Bounds, a beautiful old farmhouse, where I was welcomed by Helen. 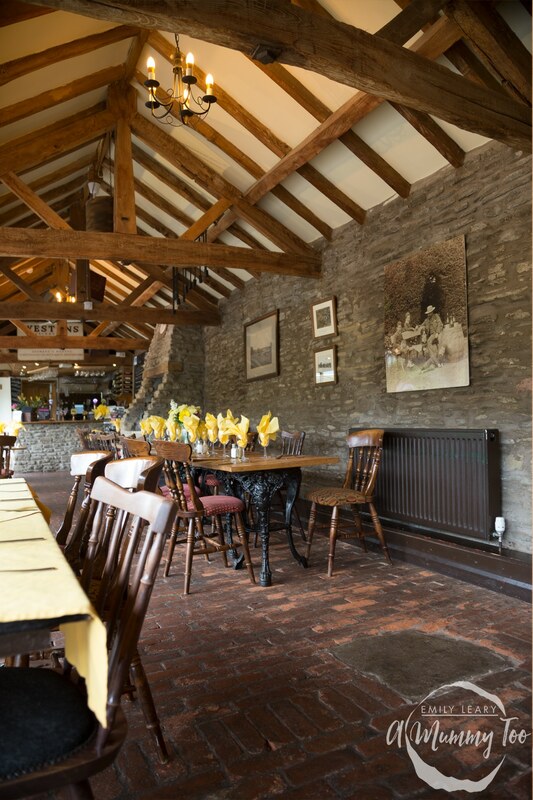 The Bounds is where Henry Weston moved to in 1878 with a view to farming sheep and cows. 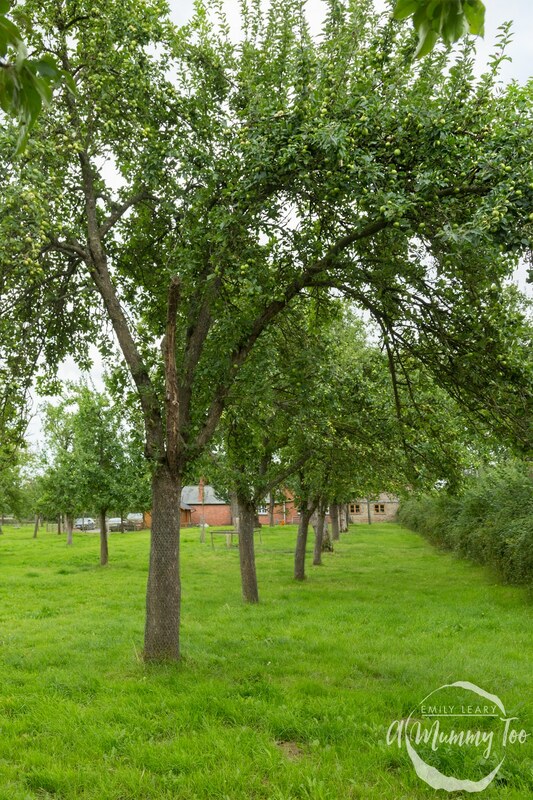 Back then, the apples were used as arable to feed the cattle, and the juice was turned into cider – not to be sold, but as a form payment for the farm workers! Apparently they would have been paid a shilling a day and over two gallons (nine litres) of cider! Then, in 1887, when legislation came in to stop workers being paid in cider, an acquaintance of Henry Weston’s, Radcliffe Cook, suggested to Henry that their cider was really rather good and that they should start to sell it. And that’s where it all began. And as the business grew, it wasn’t just Henry that made the brewery a success, his eight children had a part to play too, and that tradition has kept up to the present day with fourth and fifth generation members of the family still running the business and making sure the pride, the passion and the expertise in their product lives on. 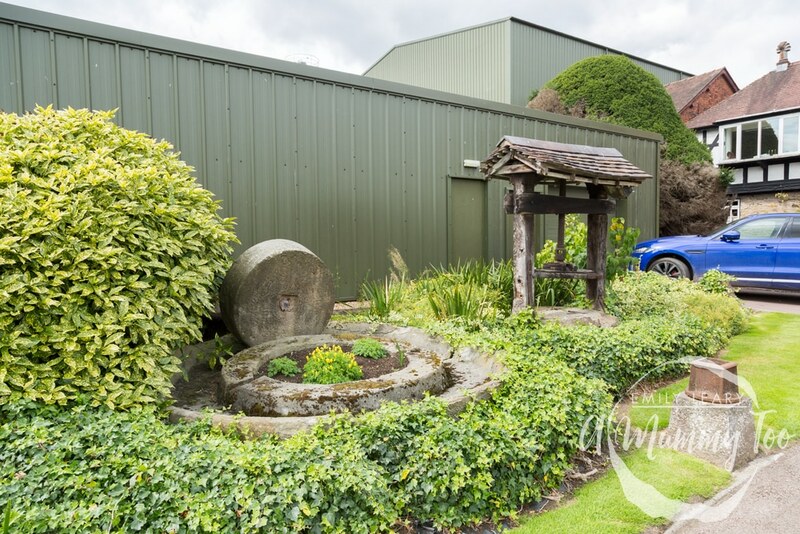 After meeting the Weston family we met Rebecca Mussell, Weston’s Technical Manager, just outside the factory who began our tour, first at the heritage centre which stores a trove of old equipment, adverts and other bits of cider making history, then on to the factory proper. 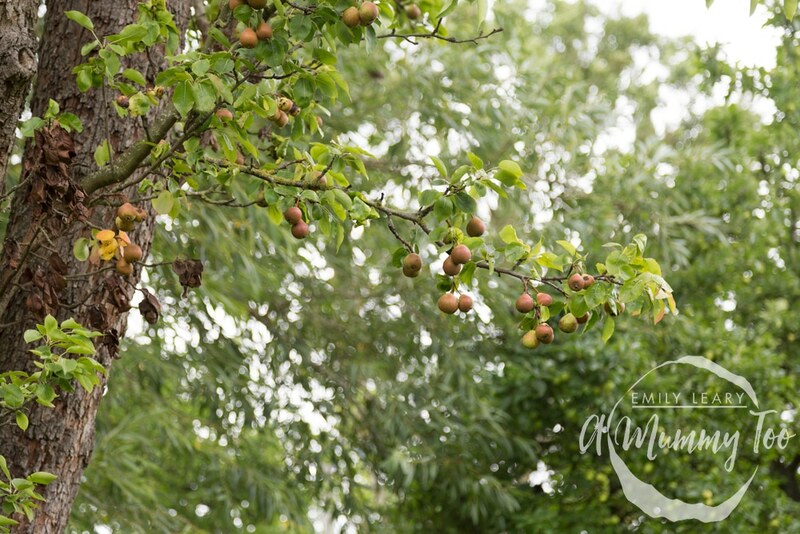 Rebecca explained, “Cider making is quite a simple process – you grow fruit, you crush your fruit and you turn the sugar in the fruit into alcohol. The thing that’s changed the most is how the fruit’s been crushed”. She wasn’t kidding – seeing how much things have changed over the last hundred or more years certainly is something. 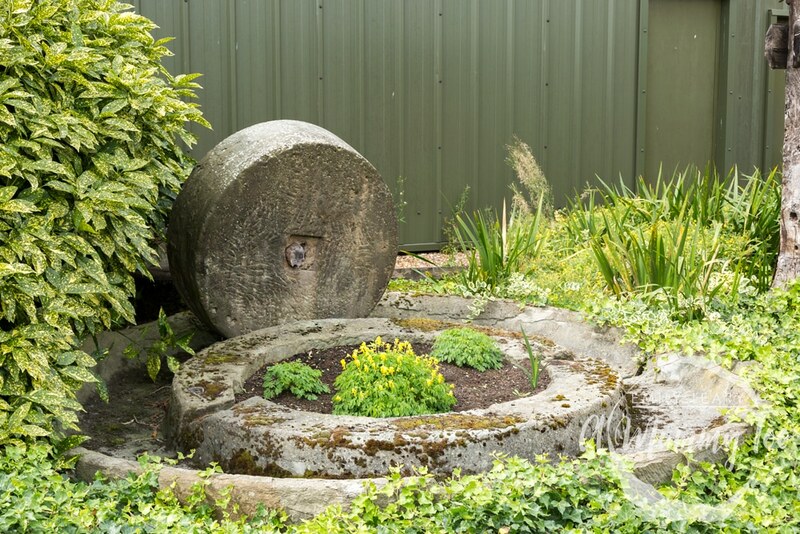 Below is one of the oldest methods to crush fruit, the stone mill. You can see the stone circle on the floor and the roller around it. In the middle of the roller there would have been a stave of wood attached to a horse (or a cow, or even a person!) and they would have walked round and round, crushing the fruit as they go. The fruit would then be scooped up and fermented. 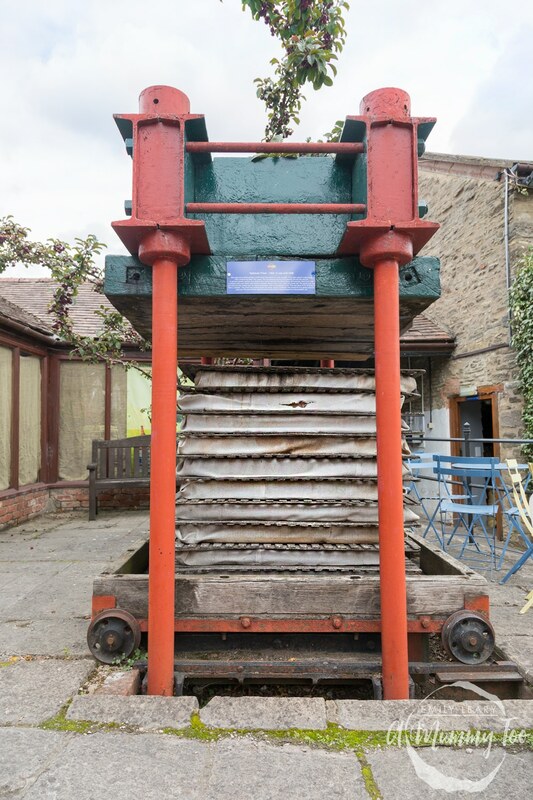 The second type of press I saw was a little bit more modern – a form of a cheese press where you would take your mashed up fruit, wrap it in hessian and lay it at the bottom on the stone and start winding the piece of wood down on top of it to let the juice run out, ready to collect. 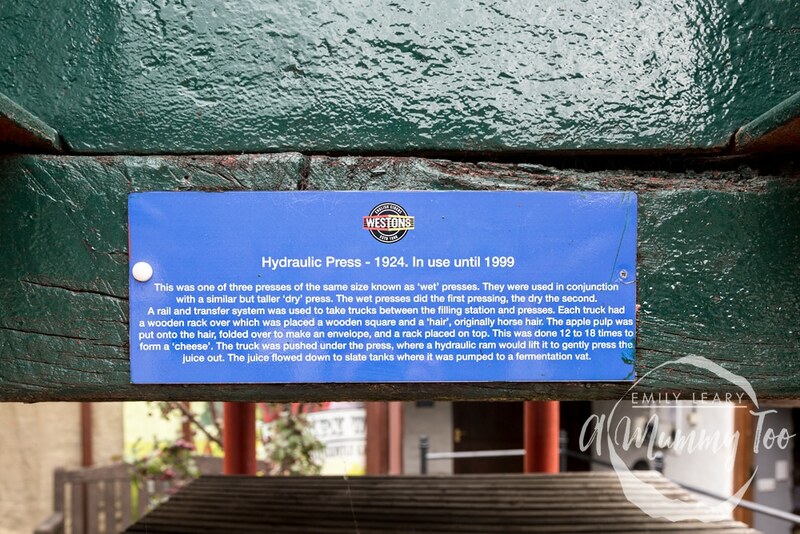 This is the last of the ‘old’ presses I saw, and while this press may have started being used in 1924 it was still being used right up to 1999! 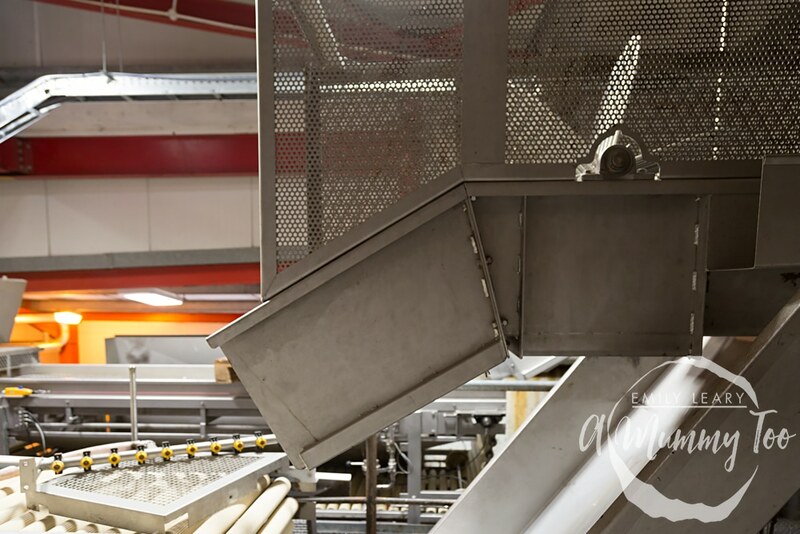 You can see that it’s on tracks so the hessian wrapped fruit can slide in and out of it nice and quickly. 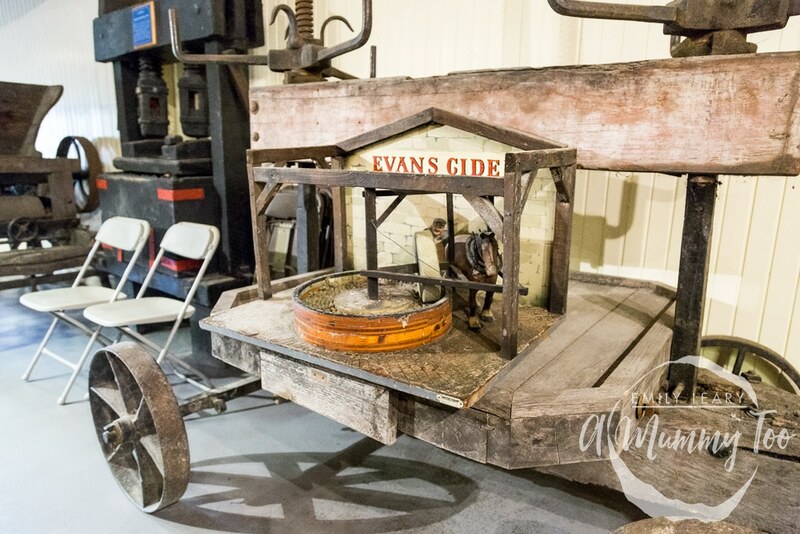 The first item we came across once inside the heritage centre was a scale model of a mobile scratter, which is basically a mobile cider making unit. 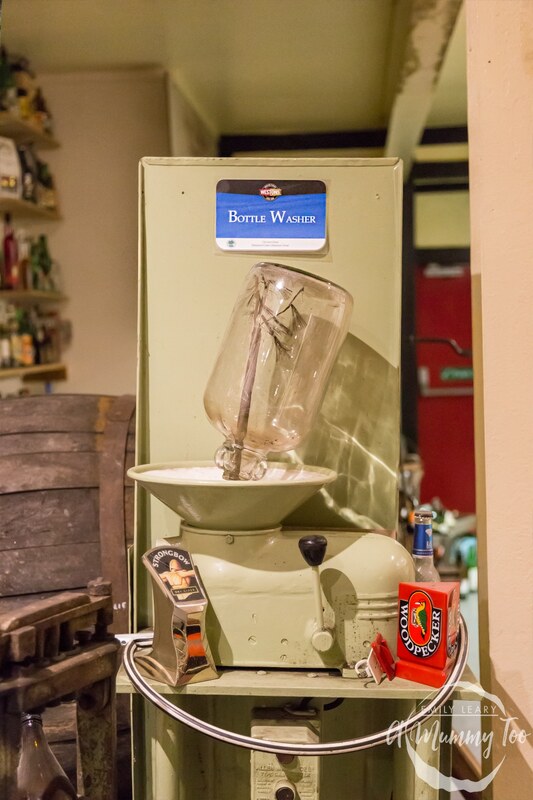 If you were a farmer who didn’t grow a huge amount of apples (but still wanted the joy of home made cider) then this was the machine to rent. There used to be a deposit on all glass back in the day, so everything needed to be washed after it was handed back. Needless to say, hygiene has moved on quite a bit since this rudimentary washing machine! 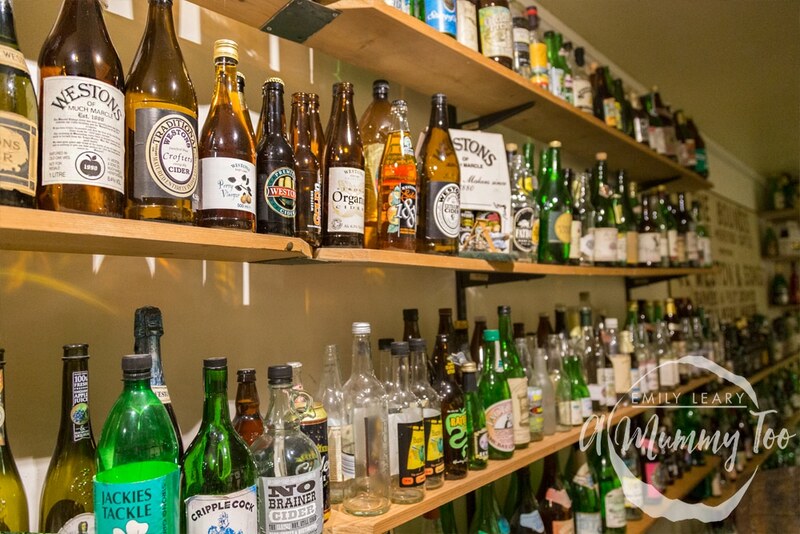 Over 1000 cider bottles would be on these shelves – if they had enough shelf space! 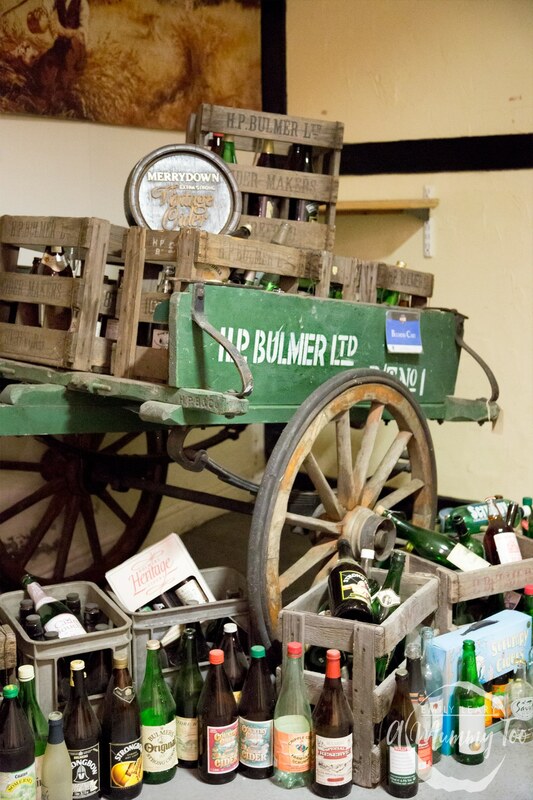 It’s not just Weston bottles collected here either, but bottles from all over the country. Weston does a lot of testing for smaller cider makers who don’t have lab facilities, so when they’re done with the bottles, they get added to the collection, which is now one of the biggest for cider bottles in the world. It was fascinating looking at all the different designs and shapes, and how that’s changed over the years. As Rebecca lead us inside, she showed us what the brewery uses for pressing fruit, explaining “‘it does the same job but it’s a little bit of a departure from the old methods.” I learned at all the fruit press either comes from the 300 acres of Weston orchards, or from growers sourced within a 40 mile radius around their farms. 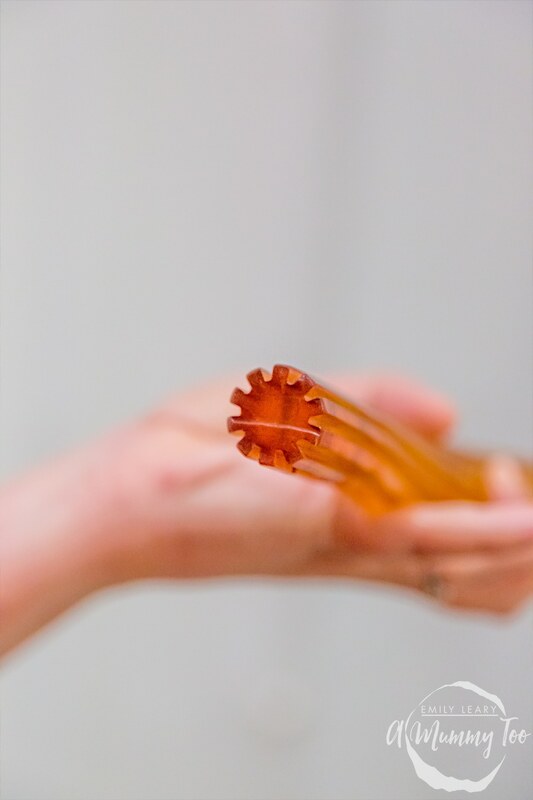 After being pressed, the pomace (the remains of the fruit after pressing for juice) is fed through the device below, which may look peculiar, but the way it works in fantastically clever. Each of those 200 white tubes is a nylon ‘sock’, and inside each sock are these rubber tubes. 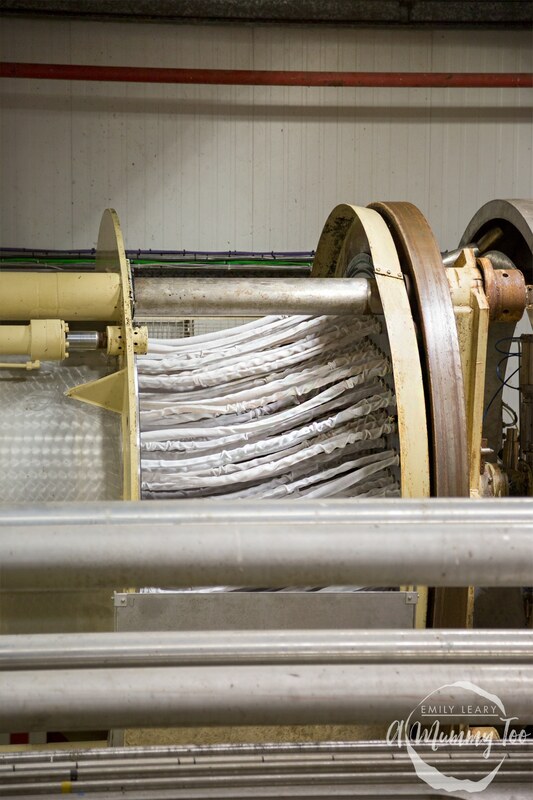 The pomace is pushed through the sock with enough pressure for the last drops of juice to get pushed out of the nylon and drop into a tank below them. 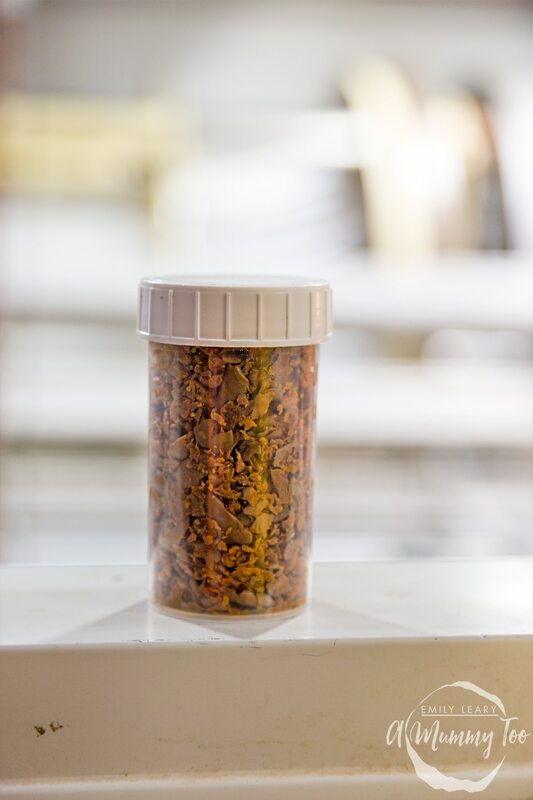 This is how dry the final pomace appears – not a drop wasted! 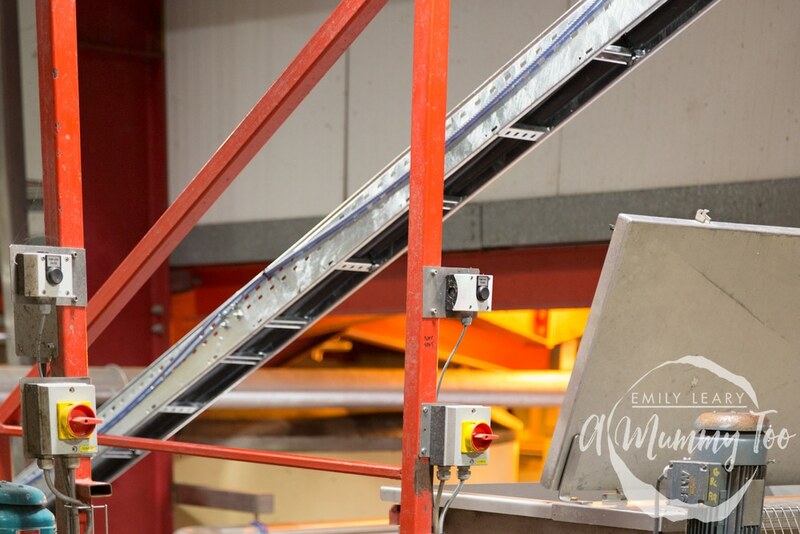 90 tonnes of pomace is produced every day, but it doesn’t go to waste. It’s taken to local dairy farms for animal feed, and apparently the cows absolutely love it. 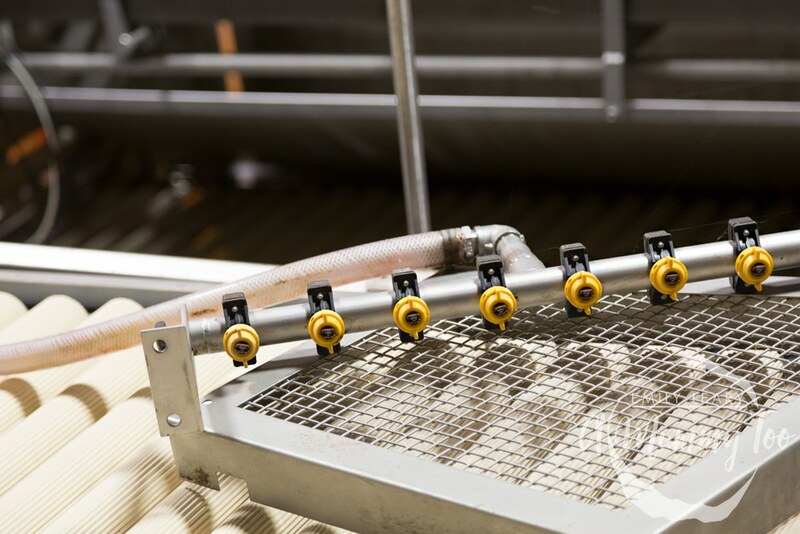 After that, the juice undergoes ‘cross flow filtration’ through one of the three machines Westons has (called Norman, Maureen and Mr. Pip – more on those names later!). 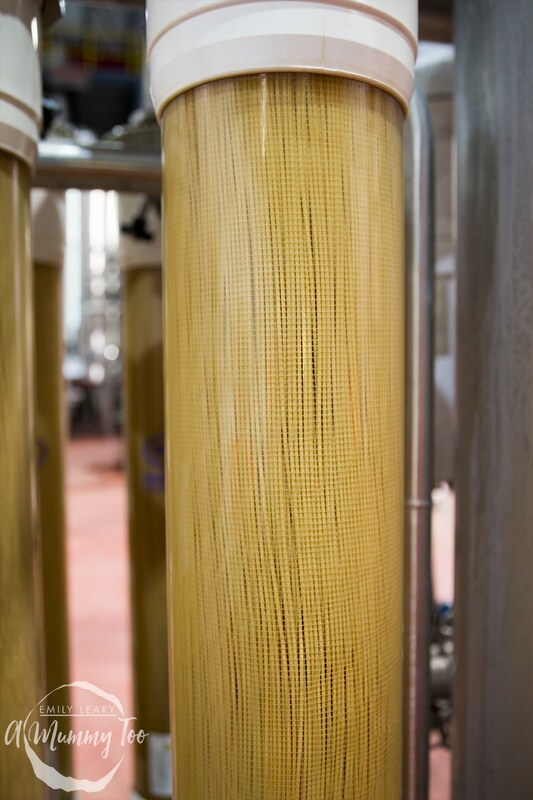 Rebecca explained, “the purpose of the cross flow is really to clean up the cider, so what we’re looking to do is take any of the residual yeast or any tiny bits of wood that might have accumulated from there and clean it up”. 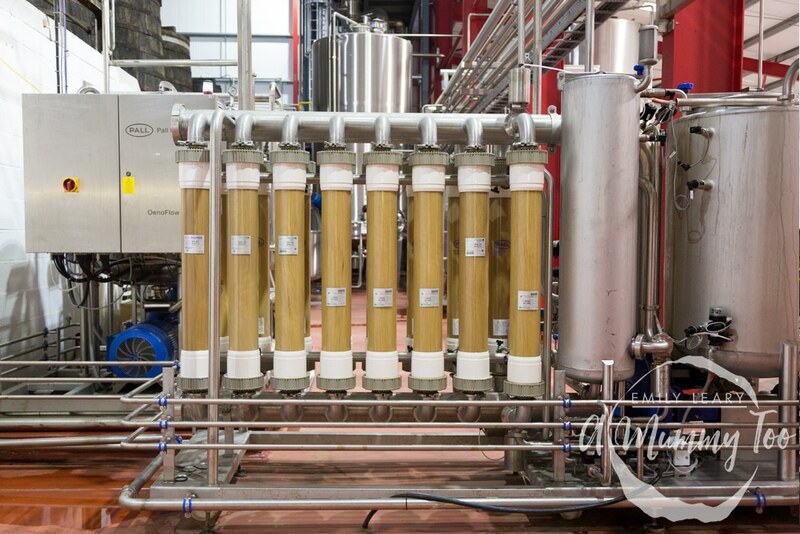 Compared to the old method these self-cleaning machines can do in five hours what used to take the brewery a week! After that stage, the juice is ready to be matured in barrels. 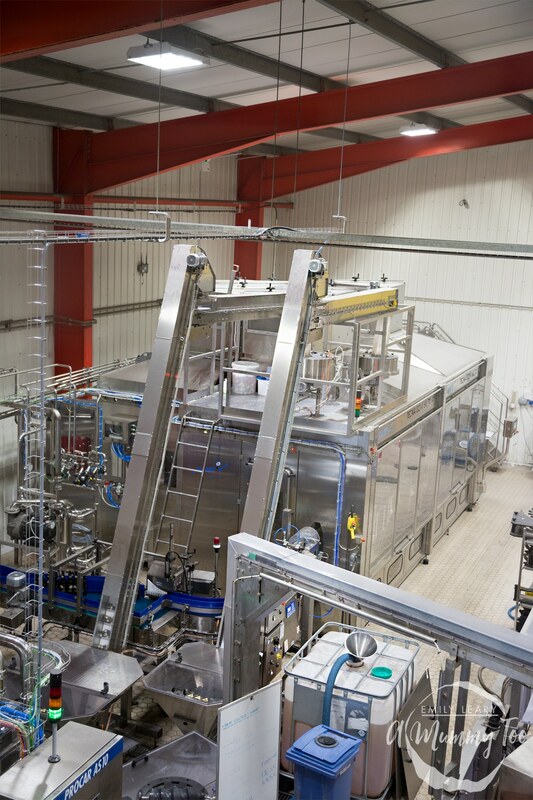 While Westons have rightfully stepped into the 21st century for fermentation (each fermentation vat holds 210,000 litres of juice! 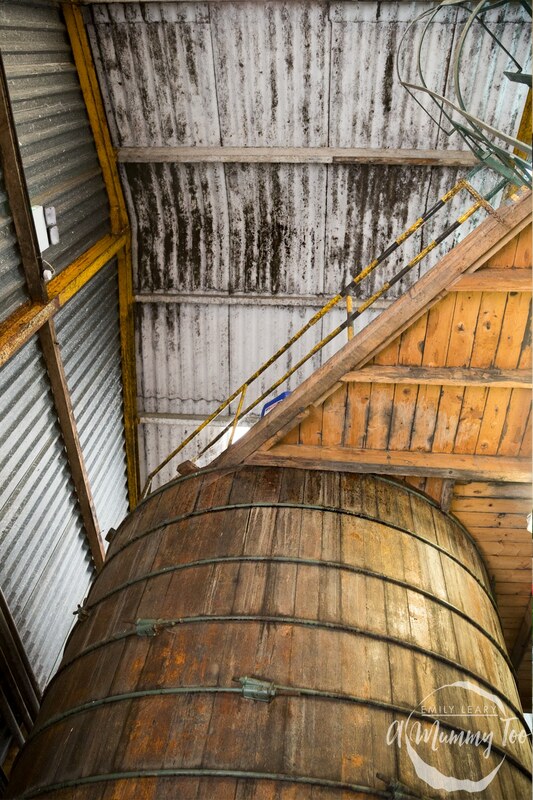 ), the maturation – which for Westons is absolutely the most important step – is still done in traditional oak vats. 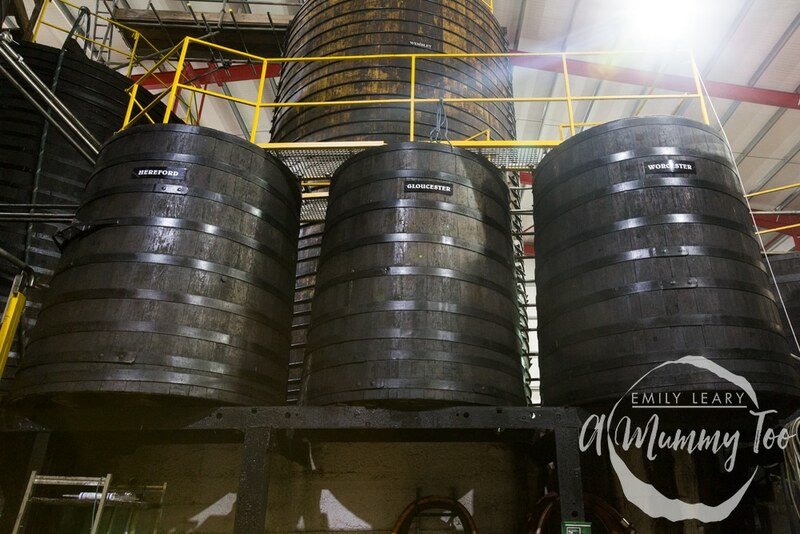 When a lot of producers were switching over to steel vats, Westons bought up a lot of the traditional oak barrels and still ferment all of their cider in this traditional way. 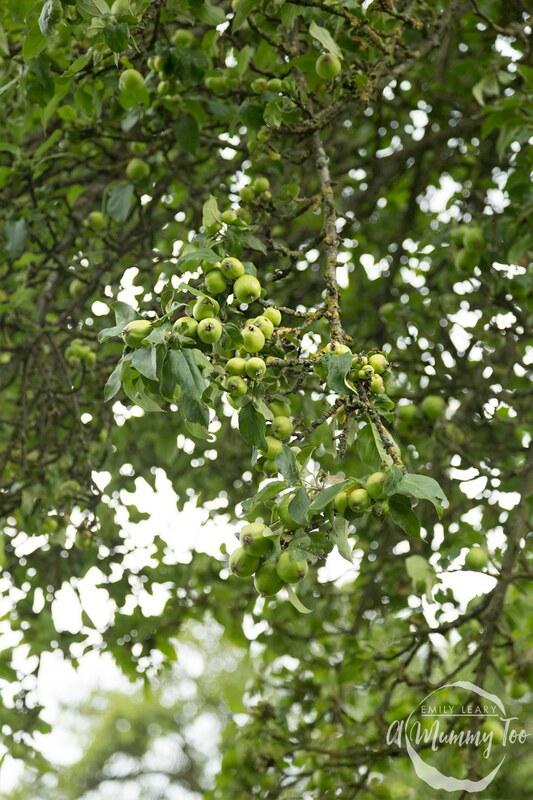 As Rebecca says, “maturation is what gives the cider its depth of flavour and richness”. I was given a chance to explore all those complex flavours later on in the day and I absolutely agree with her. All the barrels at Westons have easy to remember names, many of them going right back to being named after Henry Weston’s children, while other barrels are names after cartoon characters and more! There’s a Donald Duck at the facility, and the more recent barrels get their names from characters in Shrek and Wallace and Grommet or football teams that were top of the league when the barrels arrived. 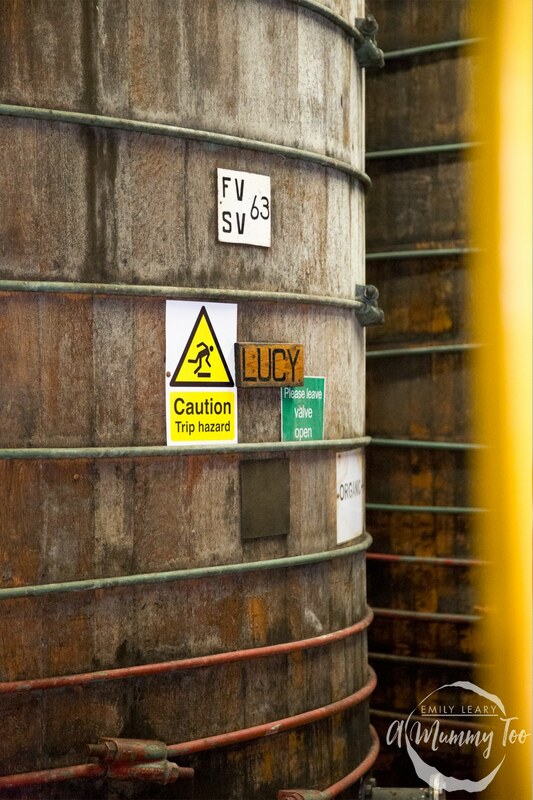 And in case you’re picturing small barrels, here’s Lucy, capable of holding 855,000 pints of Stowford Press. While visiting, I was lucky enough to see Weston’s master cooper at work – one of the last master coopers in the country. He comes down from Lancashire three or four times a year and renovates all of the oak vats on the site, such as tightening the bands on the barrels if leakage starts to occur. 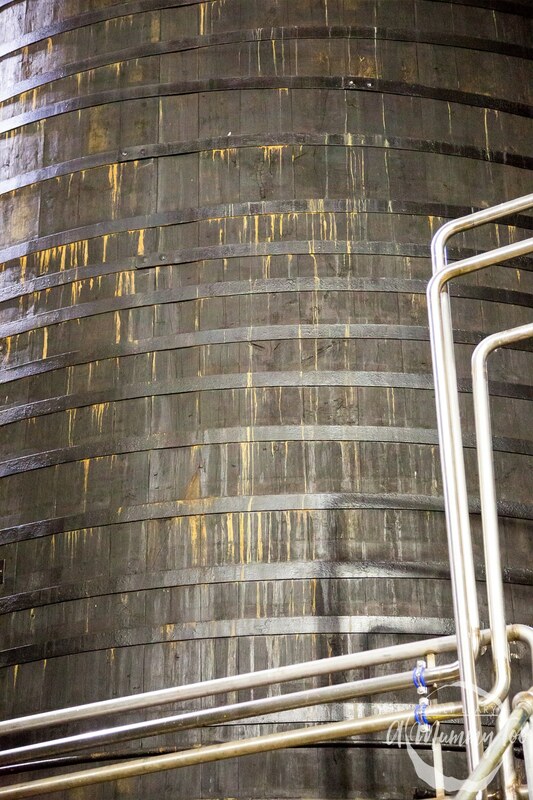 Any repairs that are done are made with English oak, and repairs are vital because the vats are priceless so they make sure to nurture them and look after them. Next, we moved on to an area where the cider was settling and converting malic acid into lactic acid. 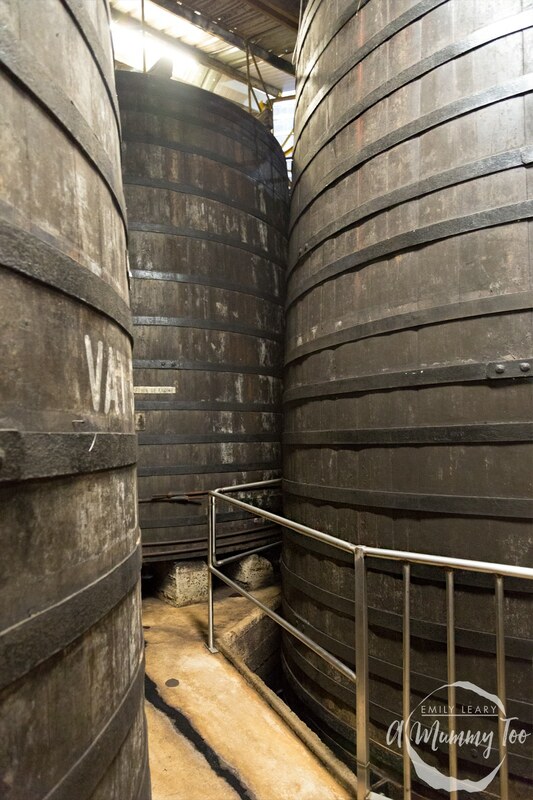 All that fermentation means there’s a lot of CO2 being produced, which is why the barrels and roof are black, and would be no matter how often you clean it. It’s also basically pure evaporated alcohol up there and, rather fantastically, called the ‘angels share’ among brewers. Sometimes breathing equipment is needed to go up there safely! I asked how long the process from picking the fruit, to mashing, to those complex stages of filtering, to getting it into oak barrels might take. It turns out, it isn’t more than 40 hours in total from the fruit first being picked to being transferred to the barrels – any more and the fruit may start to soften and ferment. 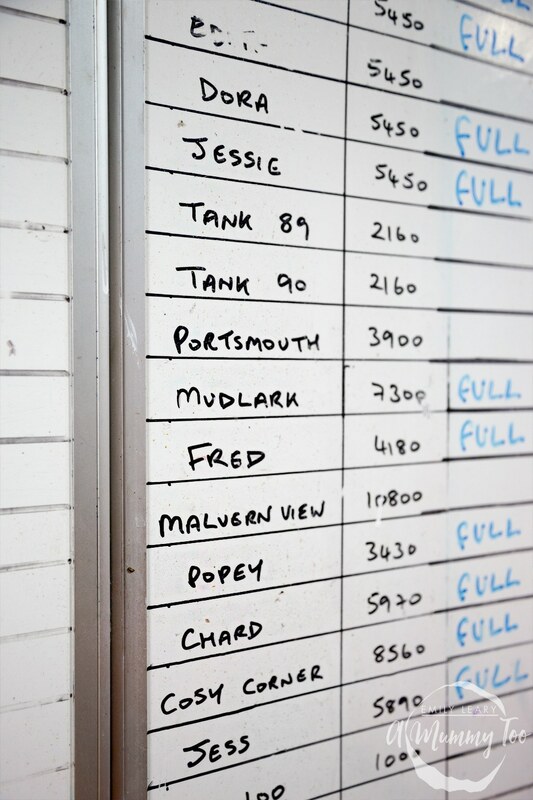 Fermentation at Westons can happen in as little as three weeks, or it could take five or six. A lot of cider makers use temperature to control this part of the process by heating the liquid up then, when they’ve achieved the alcohol levels they want, cooling it back down. 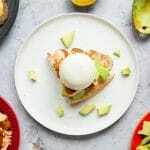 At Westons, however, they go for a more traditional approach, relying on the natural external temperature, the yeast they use and the sugar to get the result they’re looking for, and it certainly works well. 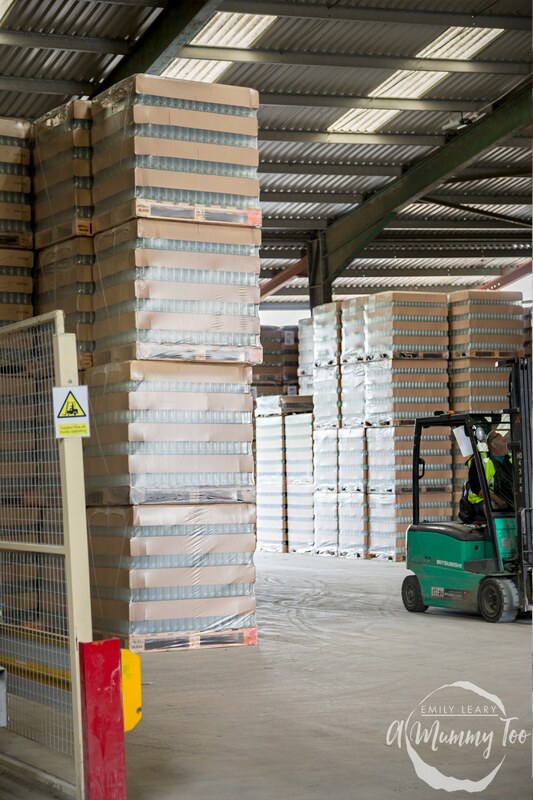 Due to the sheer volume of cider being produced, Westons bottle deliveries operate on a ‘just in time’ model where two of three deliveries are made every morning ready to go straight on to the production line. 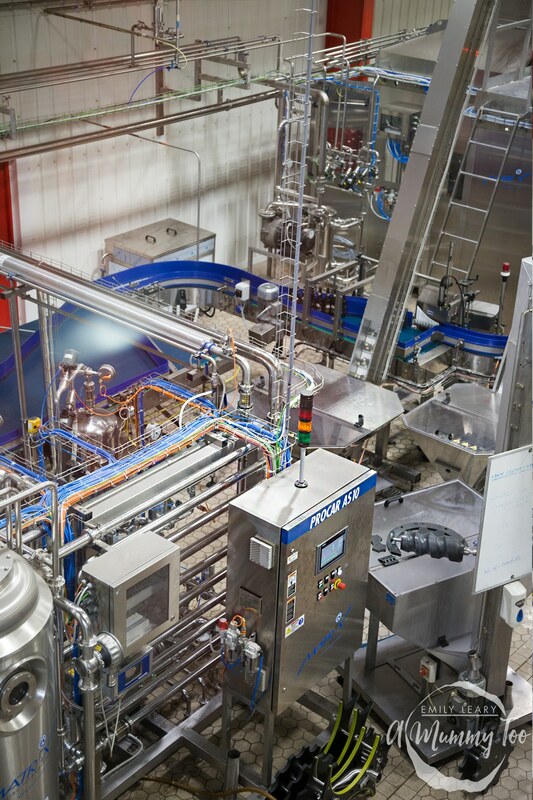 These behemoths are bottling machines – their newest machine can bottle up to 20,000 bottles an hour! After my fantastic tour of the facilities, I was handed off to Guy Lawrence, Cider Maker and fifth generation Weston family member, for a tutored cider tasting. Guy started working at Westons when he was 17, doing a part time work in the lab working on quality control, before moving on to learning all the chemical aspects of cider making. Then he moved on to production (pressing the apples, filtration, blending, bottling, kegging, draught filling), and for the last 15 years he’s been the on site cider maker and new product developer, crating all the new ciders at Weston. First up was Stowford Press, a 4.5% cider that has been in production for over 25 years. 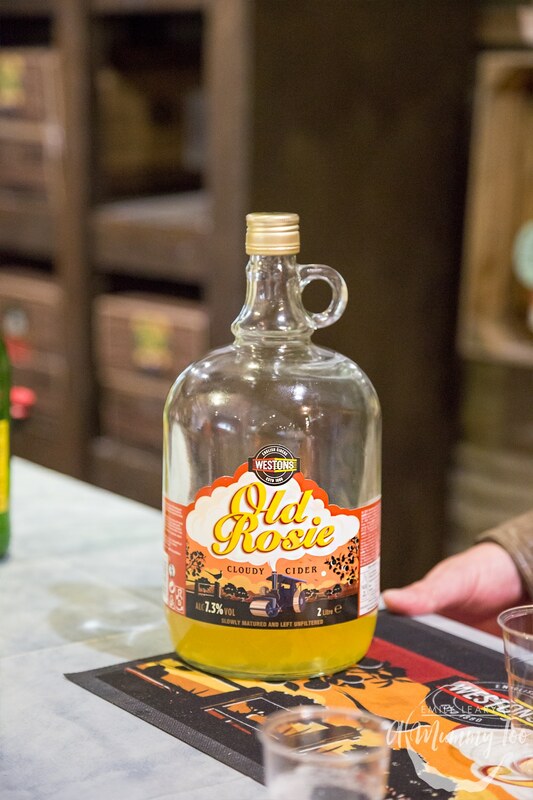 Cloudy ciders are often my favourite, so I was excited to sample Old Rosie. The last cider we tried was completely different, very fruity, very delicious and very British – a rhubarb flavoured cider. 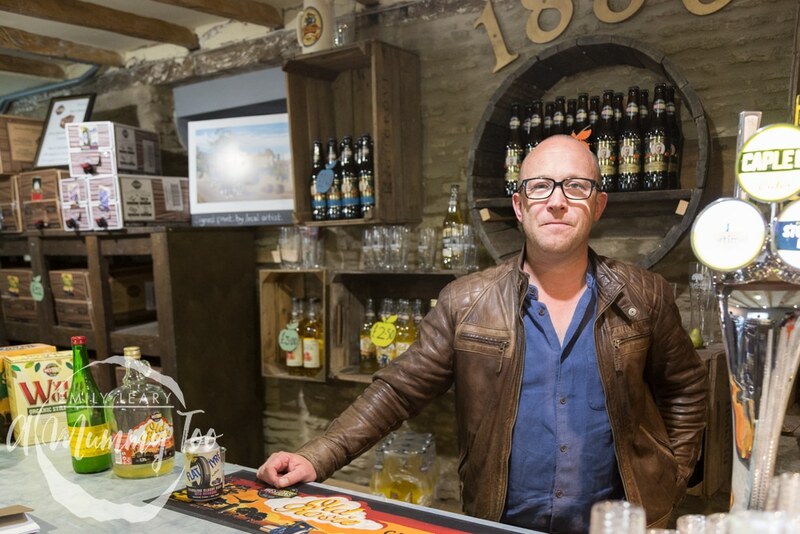 “I noticed that the industry is going down a fruit flavoured route, so I was looking at different ideas and I came up with the thought, ‘what about a pudding cider? '” revealed Guy. Flat Tire is slightly cloudy with a pink hue and light haze – you can tell they used proper rhubarb juice. The notes of butterscotch add an almost custard-like note, which is amazing, and takes me back to childhood paper bags filled with rhubarb and custard sweets. 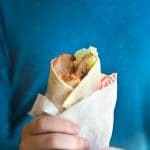 Stopping for a quick lunch, I got to have a chat with Gemma Evans who said if Weston has to be summarised in three words would be “quality, honesty and authenticity” and I couldn’t agree more. 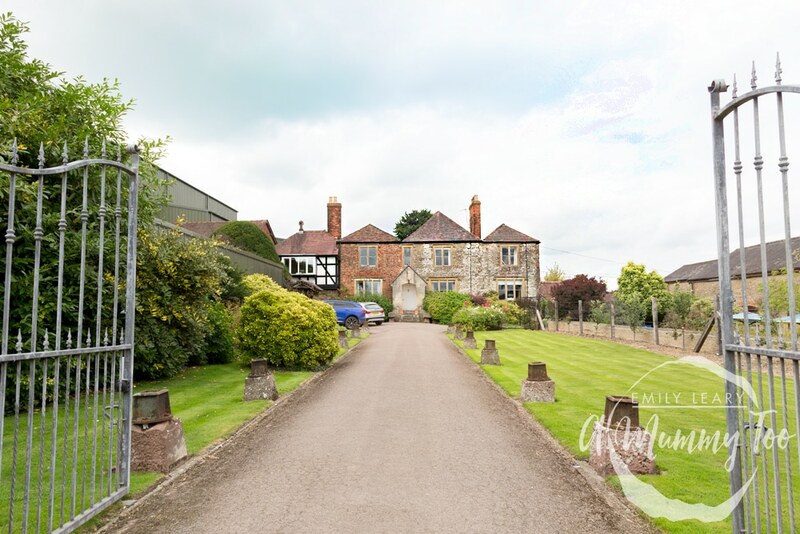 It’s easy to see why Ember Inns has the relationship it does with Weston. 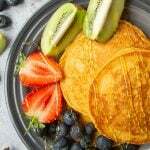 The products are matured beautifully, they do things the right way not the easy way, and being independent means they can make everything to traditional standards while still innovating quickly. Another thing that sets Westons apart is they make all their ciders from fresh juice. As the third or fourth largest cider company in the world that’s quite a departure from other breweries, who often make their cider from concentrate rather than pressing anything themselves. Going full circle, my last stop was to visit a Westons orchard where the fruit is grown. I could have wondered around the grounds for hours if I didn’t have a train to catch, it’s so peaceful and so pretty out in the Herefordshire countryside, and the gentle hum of machines and people in the background reminded me so much of growing up in rural Lincolnshire. 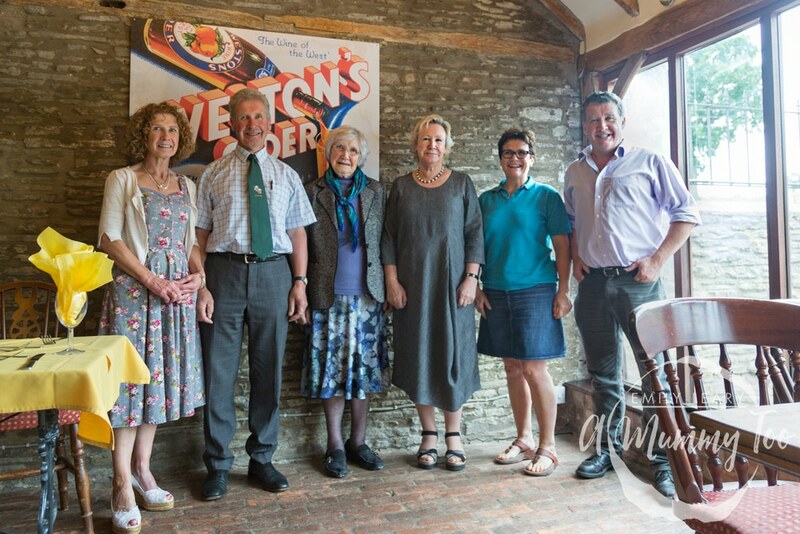 My time at Westons learning about all the work and skill that goes into producing great cider was as entertaining as it was interesting. 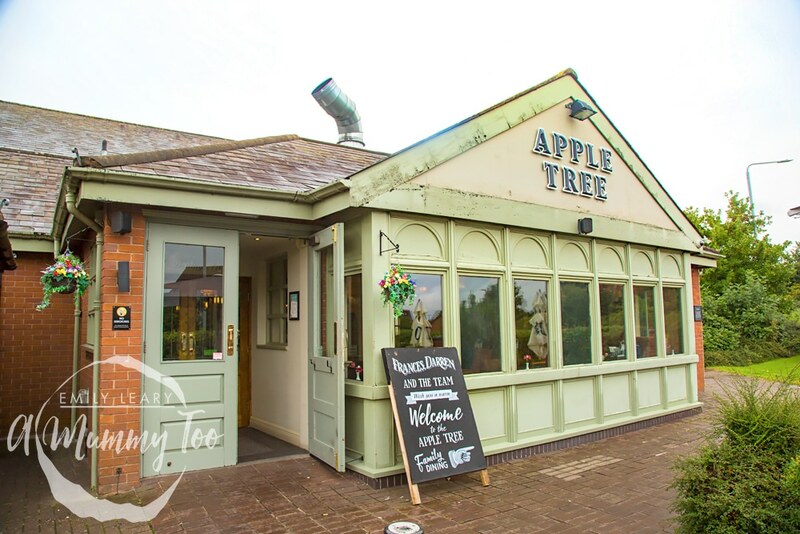 It wasn’t more than a week after visiting the brewery that I found myself in the Apple Tree, a cosy Ember Inns establishment just south of Nottingham city centre. 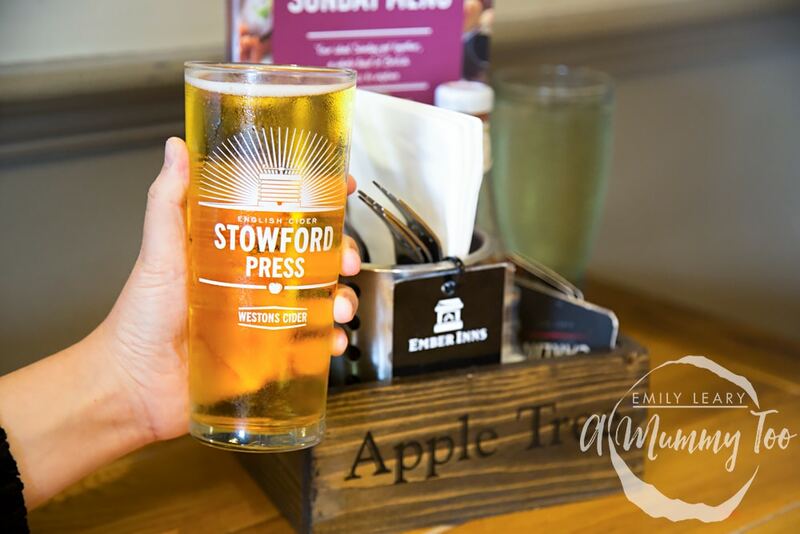 The weather was damp, so of course I knew just what to order to make it really feel like summer: a wonderfully cold, wonderfully crisp Stowford Press. I’d definitely recommend you head down to your local Ember Inns pub and order a pint for yourself – it really is a tasty cider. Let me know in the comments section if you’re tempted to give any of the ciders featured a go – or if you already have a favourite! 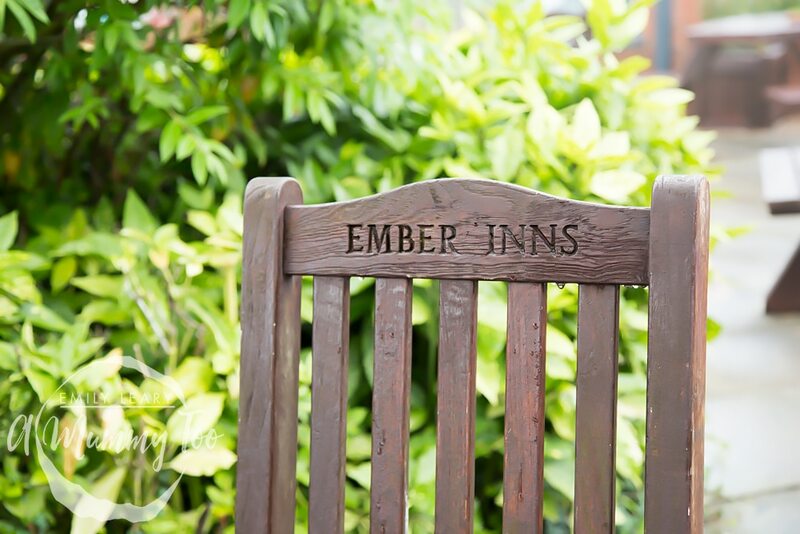 For more info on Ember Inns, visit their website and follow them on Twitter. And don’t forget to check out the #CiderMakesSummer hashtag to see what people from across the country have been doing to enjoy the summer. This is a commissioned post for Ember Inns. 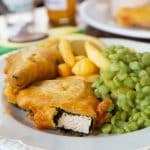 I havr to try the Ember Inn! 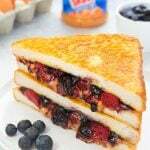 ♥ looks fab! Oh wow! 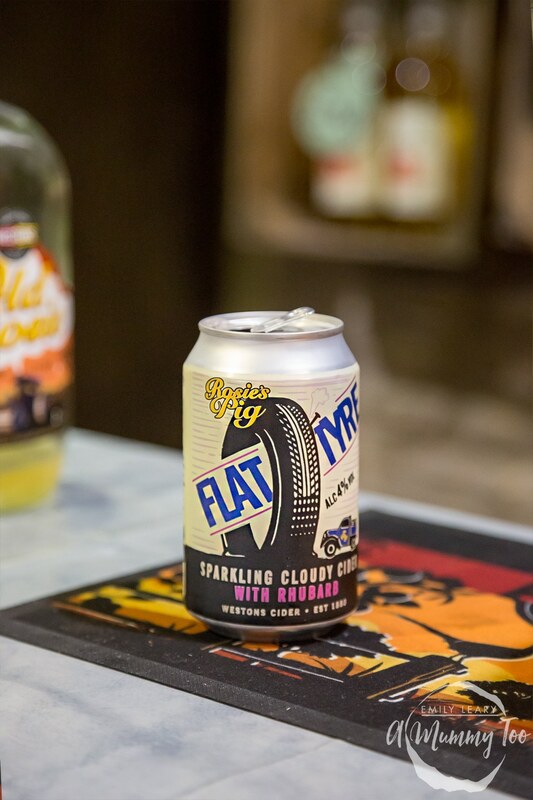 Flat Tire sounds like a drink I would love! I love Rhubarb! and the flavourings are unique to other ciders! 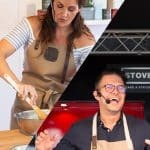 What an amazing tour to go on! I absolutely love cider! One of my favourite summer drinks! What an absolutely fantastic experience! I had no idea there was so much involved with cider making. A fascinating post, this! Imagine using the stone mill!?! How times have changed. 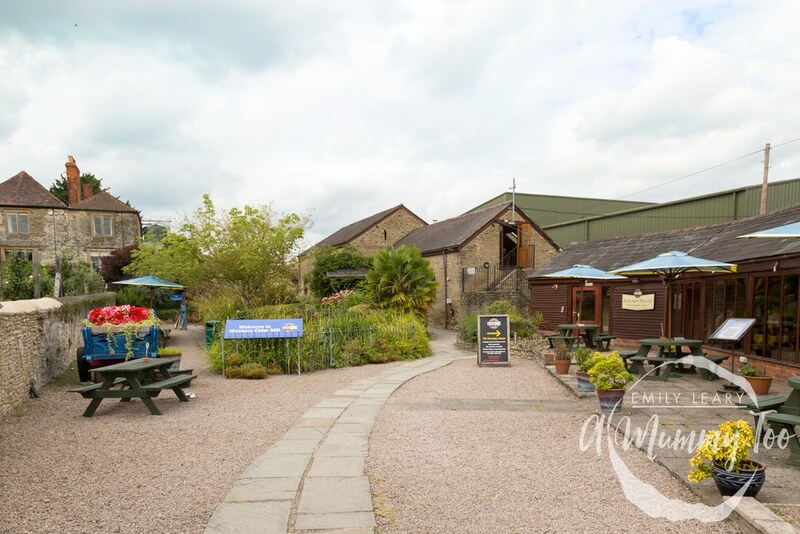 We’re big fans of cider and love discovering new cider houses *well my mummy does* hiccup! Really interesting to see the history of cider making during your tour. Also, I really love the sound of the rhubarb one – it’s a bit unusual. What an amazing experience you had! Talking with the people behind the store and knowing many things about the product makes it more interesting. What a beautiful location. I love all the unique details of your photos. It’s almost like being there. It looks like a brilliant day out, I love the behind the scene looks at daily processes like this! 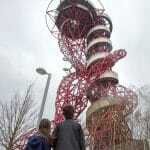 You have a tonne of information on it too, feel like I was there with you! I bet the smell was incredible!! 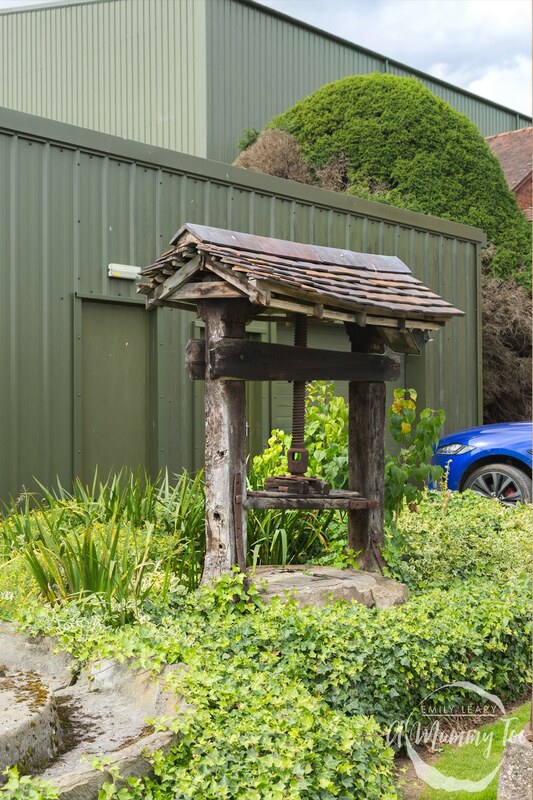 Wow what an absolutely fascinating place to get to look around, it looks like it has so much history behind it and I bet it was interesting learning how cider was made. I love seeing how things are made, what an interesting trip to go on. It must have been really interesting seeing the historical side too. Sounds really interesting I’d love to see how cider is made in action. Not a drinker myself but still would enjoy watching the cider making process.